Synopsis: Communicating with love; the many aspects of love and love issues that need to be communicated to succeed at and with love; accessing a dozen mini love lessons focused on communicating with love and about love’s many factors; special suggestions about learning love communication for couples, individuals, parents, families, friends and others. In a love relationship all communications are best when they contain at least some love. 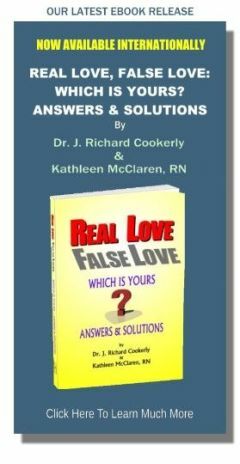 Loveless communication can harm and even destroy love relationships. Anti-love communications are even worse. You and everybody who reads this can learn to communicate with love better. You also can learn to communicate better about love itself, love issues, love problems and love relationship difficulties. Every message in which some love is communicated is likely to be a more effective communication. Furthermore, you can learn to communicate better about making love plans, having love hopes and creating love actions. You also can learn how to communicate about love goals, love cures, love learning, love fixes, love advancements, love victories, and all the many wonderful emotions of love and the grand and glorious ways of love. You may be really good at communicating love, and communicating about love and with love, or you may be only mediocre or even downright poor. However, because love and its applications are so vast, no matter how good we get we always can learn more and, therefore, do better. When we learn and practice more we reap the enormous benefits of love and its multitudinous joys – more. If it’s important to you to succeed at lover love, family love, parent love, friendship love and self love the better you can communicate with and about love and all love relationship issues the better you will do. 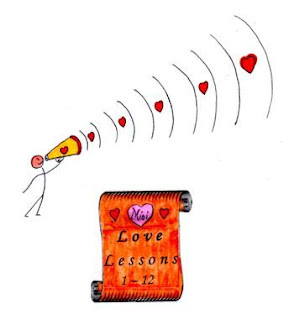 To help you communicate with and about love better here is a list of a dozen totally free, practical, highly useful mini-lessons accessed by going to the “Site Index” in the toolbar at the top of this page. Know that this is just a broad spectrum sample of what can be learned about love-filled and love-oriented communicating. This is one of those areas in which we have the joy of always being able to grow further and do better. Couples get a lot out of these mini love lessons when they read them together, stopping along the way when either person finds something they especially want to focus on and then talking about that element of the lesson before going on. After finishing a mini love lesson it’s good to ask each other if specific improvements (which have come to mind while reading and discussing the mini love lessons) are wanted regarding communicating love, or about love, or about love issues. Many individuals have learned, on their own, how to communicate healthy, real love better and by doing so vastly improved their lives. Individuals working on these skills alone may have to put a little extra effort into remembering to repeatedly and consistently practice what they are learning. It is important to note that everything about new and better communication takes repeated practice. Otherwise, the old communication habits may prevail and defeat the improvements. Individuals working on including more healthy, real self-love in the internal communications from their ‘conscious, purposeful mind’ to their ‘inner self’ usually have to practice daily for quite a while to get into a positive, self-love filled internal dialogue. That’s what it usually takes to overcome the anti-love and loveless messages that may have gotten into one’s head. offspring in simplified form. Verbally skilled children can be asked to invent questions and examples which can help them get interested and start to learn to think about love. That by itself can help children become more love-oriented and, therefore, more successful at love as they develop. For families with teens, young adults and older family members, after everyone has reviewed a mini love lesson, all members can participate in a ‘Round Robin’ (where everyone gets a turn to voice their thoughts and feelings), family-style discussion. This kind of exercise can increase how well and how often love actions and love verbalizations occur in a family. For families of all sizes, types and age spans this seems to be true. Two or more friends, associates, etc. can form an informal or even a more formalized study group to help each other grow and communicate with love and about love better. School, religious and other types of organizations can do the same thing. Anywhere people combine together to study how to communicate love, with love and about love it’s likely to help the participants make love improvements. I suggest a “12 session dedication” to studying each of the above listed communications-focused, mini love lessons – one per session. This can occur in any time frame like once a day, or once a week, or once a month, or at retreats or weekend workshops once an hour. Putting it on a calendar or schedule usually helps it to actually happen. Remember, it is important to practice what you have learned in your usual life. 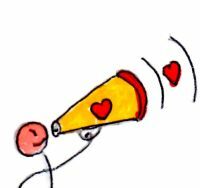 Also remember, you can communicate love, with love and about love always – better. On a scale of zero to 10 (10 being the best) how high do you rate yourself 1st on being able to communicate love, 2nd on communicating with love, 3rd on communicating about love, and 4th on communicating about important love relationship issues?